At a glance, see how several of your websites, mobile apps & shops are performing overall. Get new insights into your business & save time every day. Hi, this is Matt from InnoCraft. The company of the makers of Matomo Analytics which is used by over 1 million websites and apps in over 150 countries. At InnoCraft, we run the Matomo project and the community. We are therefore responsible for many different websites: Our matomo.org website, the Matomo Marketplace, the Matomo Developer Zone, the Matomo Forum, and some more. When you run several websites, mobile apps, or sub-domains like we do, you want to understand the overall performance of your business while still being able to compare the performance of your individual websites and apps. Roll-Up Reporting is for you and will provide huge value. When you have Roll-Up Reporting, it lets you aggregate data from multiple websites and apps into one single site. This lets you answer questions like "How many visits happened on all of my websites and apps?" and "Which campaigns contributed the most across several of my websites?" or "How do my various Brands overall compare with each other?" When you have several shops (eg white-labels) it is very valuable to see how your ecommerce shops are performing overall. Or when you are a web agency and you are serving many customers and want to provide each customer with a single aggregate view of all their web properties. Roll-Up Reporting lets you analyze this aggregated data in one site so easily. It saves you lots of time and helps you gain the insights you need instantly. Lets say you have separate websites for different countries (your-business.com, your-business.fr, your-business.de, etc). They are separate sites in your Matomo but you might still want to see a combined report on all of them. Roll-Up Reporting gathers the data of these websites into one single site and allows you to see aggregated metrics and reports for those sites. You can still access each website individually as you are used to, and the Roll-Up site will allow you to analyze the aggregated data. Before we used Roll-Up Reporting, we couldn't get a detailed view of our overall web activity for our work on the Matomo project. Now that we have setup Roll-Up Reporting (which took less than five minutes), we know exactly the most popular content across all sub-domains and websites, we can easily optimise our marketing budget across all our web properties, and it's so much easier to monitor overall growth. Essential when you have several websites, shops, brands, or apps, and want to understand how your business or organization is performing overall. Save a lot of time and reduce the risk of human error compared to manually aggregating the numbers of several websites (for example in Excel). Compare departments or a collection of brands much easier with each other. 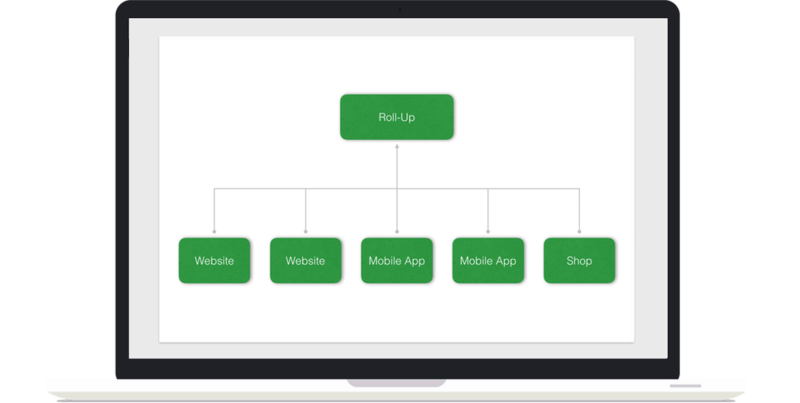 Assign Roll-Ups to another Roll-Up to mirror your organization's structure or hierarchy. Have an eye on all of your visitors in real-time across several websites and apps compared to switching between several browser tabs. Keep easily track of your overall revenue. See which referrers are most valuable and are contributing the most to your traffic overall. View the Real-Time Map, Visitor Log, and other live reports across several websites and apps. Gain new insights across several websites and apps in a single site, for example visits, revenue and pageviews. Check out the top dimensions across properties like top page URLs, top referrers, top locations, e-commerce products and more. Supports Custom Reports which means you can gain new insights across a set of sites or all of your websites. No data limits! Create as many Roll-Ups and assign as many websites or apps to a Roll-Up as you wish. Roll-Up Reporting is hand-crafted by the makers of Matomo with top quality and integrates nicely into Matomo. When you have Roll-Up Reporting, we are certain you will save time while gaining heaps of valuable new insights that aren't possible to get otherwise. 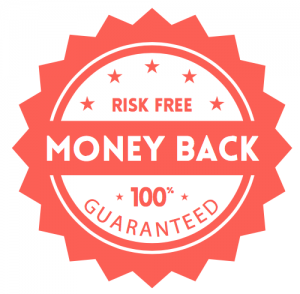 This is why we give you a 100% unconditional, easy, fast, and hassle-free money back guarantee for 30 days. There are no strings attached. So try it now and let us know how you do. We are happy to help you get started and are looking forward to hear how Roll-Up Reporting helps you. We at InnoCraft are the creators of Matomo and know it better than anyone else. This means all plugins are perfectly integrated into Matomo and come with outstanding features and quality to grow your business. We help our clients get started, configure, monitor and make the most of their Matomo analytics service. We also offer unique analytics products and services that help grow your business and meet the needs of small, medium and large businesses alike. Optionally, give users only access to a Roll-Up without having to give them access to individual websites. View your Roll-Up reports on the go with the Matomo Mobile app. All reports including real time reports are available via the Matomo HTTP Reporting API, and support Matomo segments. Manage Roll-Up properties via the Matomo HTTP Reporting API. Export any report directly in your app, dashboard, or even TV screen! Even your real time reports can be embedded anywhere. Get automatic email and sms reports for your Roll-Up properties, or send them to your colleagues or customers. This plugin is compatible with Matomo 3 (see requirements below for more details). The Roll-Up Reporting User Guide and the Roll-Up Reporting FAQ cover how to get the most out of this plugin. For any other question feel free to contact us.